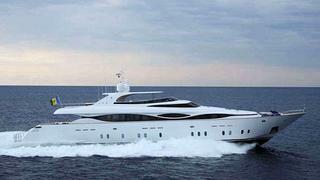 Oceanstyle by Burgess tells me that the Monaco office has signed the 39.6m superyacht Inclination II for sale. Built by FIPA Italiana in 2008 to RINA class, she's the fifth in the yard's Maiora DP39 range. Accommodation is for up to 12 guests in five staterooms and twin 3,650hp MTU engines give her a cruising speed of 27 knots. Inclination II is asking €7.95 million.